Being the only industry partnership of the scrap processors in Russia, RUSLOM.COM has a self regulating status of the organization. The members of RUSLOM.COM are independent scrap-precessers, exporters and traders, more that 100 companies from the procurement integrated iron-and-steel works, which are leaders of the market and State programs. The members of RUSLOM.COM have 100% Russian sredding capacity and 75% of Russian scrap-steel market in terms of size of consumption. For the 5 years of RUSLOM.COM activity the highness of market coupling was accomplished, resulting in strong consolidating position building in business, in coordination with State authoritets and others organizations for the industy problem solution, as well as for and its development. Export producement aggregate – more than 2 million tons per year. The decision — to create the non-commercial partnership of scrap recyclers “RUSLOM.COM” — was taken by the constitutive meeting due to the Protocol № 1, on 25 April, 2012. Mission – the arrangement of the raw and ecology safety and security in the country using the resource recovery with refunding to the economic turnover. Object- the creating the efficient and high-tech industry of scrap metals, production and consumer waste processing. he self-regulating market development, development of laws and standards, as well as industry standards regular follow up for the members of RUSLOM.COM. Assistence in effective teamwork between State and busines. The legislation optimization in the sphere of waste management. Support for best aviable technologies adoption in sphere of scrap metal management and consumer waste processing. The competitive recovery, transparent of the industry andinvestment market attractiveness. Assistance in the entrepreneurship activities development, defence of rights for the members of RUSLOM.COM and legal, economic, reputetion risks minimization, as well as others business differences. Monitoring, information and analytical support, making the industry ratings and true and fair view of Scrap market and Market of production and consumer waste. Research and Development, training and further education, science and human resources development. 1. Implemination of a binding the self-regulation to the industry of scrap metal and metal waste management. Relevant agency Economic Development Ministry of the Russian Federation. 2. TIPI Cancelation for the secondary materials delivery by private persons. Relevant agency Ministry of Finance of the Russian Federation. 3. Overarching policy making for the ramshackle vehicle, e-equipment and technical equipment utilization. Relevant agency Ministry of Industry and Trade of the Russian Federation. 4. Creation the unified system of e-scrap and waste metals trade. Relevant agency Economic Development Ministry of the Russian Federation. 5. Optimization the custom legislation in regargs to scrap export. Relevant agency Federal Customs Service. 6. Universal State System of goods- and waste-tracking retrofit. Assistance in implementation the government program of goods producer responsibility (458- Federal Law). Relevant agency Russia’s RosPrirodNadzor environmental watchdog. 7. Assistance in implementation new environmental law. Affiliation with lockal ways of waste management stacking. 8. The proposal development to the methodology of waste management industry (FCFS Strategy prior to 2030). “Green economy” transfer and ecological sustainability (Conception of the ecological sustainability of the Russian Federation). 9. Running the events: the largest in Russia and Europe international Forum “Ferrous and Non-Ferrous Scrap Metals” and Moscow International Recycling Expo. In 2017 these events were put in a plan for a year of Ecology in Russia, more than 800 delegates from 30 countries were attending those events. 10. Target program realization “Raising of effictive teamwork of the scrap- and metal waste management industry facilities with the organizations of financial- banking sector” involving the primary banks. 11. “UBERi Taxi” — target program realization. Creating the residents geo-social servise for the assistance in waste sorting and absorption of unused resources to economic turnover. 12. Target program realization “BAT (Best Aviable Technologies) Standards of the scrap- and metal waste management industry, e-equipment and electric machinery”. 13. Target program realization together with NUST MISiS, Swiss and German experts of the recycling universities regarding additional further training program of scrap- and waste metal management, e-equipment and technical equipment management, military hardware management. Сertification by the National University of Science and Technology MISiS with T&E activity qualifications. 14. “AllRussian rating of industry leaders in shpere of the scrap- and metal waste management” target program realization. Annual awards ceremony for the leaders of the rating. Types of ratings: federal, regional, export-import. General Members’ Meeting of the self-regulating organisation is a highest management body of the self-regulating organisation, plenipotentiary to deal with a business activity (of the self-regulating organisation), refered to its competence by Federal Law dd 01.12.2007 N 315 and others Federal Laws, as well as by Charter of non-commercial partnership for the business activities of the self-regulating organisation. Group for Internal Revision is an internal control board of the self-regulating organisation that controls the activity of national self-regulating organisation, as well as its governing board. Supervisory board is a supervisory collegiate authority for the reccomendations and proposals generation, focused on chartered aims and objectives. The supervisory board acts on the principles of voluntariness, self-management, objectivity, publicity, publicity and independence in making decisions on matters of its competence. Director — chief executive officer. Fall within the competence of the director are questions regarding the self-regulating organisation operating control, except for the items, falling within the competence of the presidium and RUSLOM.COM members general meeting. Supervisory Commission – the avanced RUSLOM.COM collegiate authority, compliance with the requirements supervision of the requirements for the issuance of certificates of admission, the requirements of self-regulation standards, the Rules of self-regulation and the requirements of technical regulations by the RUSLOM.COM members. 3.10 Creation the competition commission to protect competition in order to protect the interests of members of the association and for market regulations; 1 quarter of 2017. July 14-15, 2017 Victor Kovshevnyi (the director) and Victor Kitsing (the presidium member) business trip to Switzerland with the purpose of visiting the manufacturing enterprises, studying the experience of scrap and electronic waste processing. Organizer - member of the NP NSRO RUSLOM.COM Supervisory Board - Dr. Viktor HAEFELI, president of Eurasian WEEE Solutions. July 4, 2017 NP “Russkaya Stal” and NP NSRO “RUSLOM.COM” staff conference and Working Team making for the legislative initiation realization of TIPI Cancelation for the secondary materials delivery by private persons. June 2, 2017 NUST MISiS and NP NSRO "RUSLOM.COM" partnership agreement undertaking regarding additional further training program, postgraduate courses and professional retraining of scrap- and waste metal management, e-equipment and technical equipment management. June 6, 2017 Speech by Viktor Kovshevnyi - director of NP NSRO “RUSLOM.COM” on the research and practice conference “Green Economy: prospects for new vector of development in the Year of Ecology”. Organizer - The Russian Institute for Strategic Studies (RISS). April 7, 2017 Participation of the director of NP NSRO “RUSLOM.COM”- Viktor Kovshevnyi - in the taping a report by central TV-Channels regarding the scrap metal industry to the Day of Scrap-Processor. January 19, 2017 Internal meeting was held on the position building of NSRO "RUSLOM.COM" in connection with the appeal of the Department of Metallurgy and Materials of the Ministry of Industry and Trade of the Russian Federation, the request of the State Duma deputy on the current market situation with ferrous scrap of the Russian Federation, in including proposals aimed at increasing market transparency, as well as meeting the demand of the Russian metallurgical enterprises in the said raw materials. 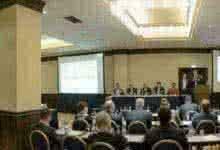 December 12, 2016 The final meeting of the NSRO "RUSLOM.COM" was held at the Renaissance Moscow Monarch Center Hotel.The event was attended by NSRO "RUSLOM.COM" -members and invited Industry Manufactures Associations, recyclers of secondary material resources and invited experts. December 8-10, 2016 Business trip to St. Petersburg and participation together with customs authorities in the meeting. Incorporation of the NP NPRO "RUSLOM.COM" in NP "Guild of professional participants in the market of rendering services in the field of customs and foreign trade activities "Hermes". Being the largest in Russia professional association, carrying out activities in the field of customs and foreign trade activities. Before the reorganization, which ended on 30.06.2011, the non-commercial partnership was named the regional association of customs brokers "North-West" (RATB "North-West"). The decision to establish the Association was made in 1997. December 6, 2016 Business meeting with a representative of the Department of Regulatory Risks of MTS OJSC on metal theft fighting and illegal scrap turnover in Russia. December 2, 2016 A meeting of the conference speakers (the company "Vedomosti") in the office of Deloit. Discussion of key problems for the transition period of the implementation of the New Environmental Legislation. November 10, 2016 Business meeting in Kazan. Victor Kovshevny discussed with the leadership of Sberbank of Russia and representatives of "Intermetrade" LLC ways of the effective coordination between scrap processors and banks. October 17, 2016 A General Meeting NP NSRO “RUSLOM.COM” was held in The Gostiny Dvor. Order of business is attached. September 27, 2016 NP “Russkaya Stal” and NP NSRO “RUSLOM.COM” staff conference regarding the regulatory framework optimization in the sphere of scrap- and waste processing management, as well as illegal scrap turnover fighting. Negotiations were held and an agreement was reached on the incorporation of the Joint-stock company "Substance" (Transbaikalian Territory) in NP NSRO "RUSLOM.COM". A working meeting was held with the international company Elemental Holding SA Poland regarding the cooperation of foreign and Russian companies in the field of processing of electronic scrap. September 13, 2016 Japanese magazine “Japan Metal Bulletin” about the work of the Russian-Japanese Recycling Forum in Tokyo. Interviews of participants. September 8, 2016 Director Victor Kovshevnyi participation in the international conference UNIDO in Moscow with speech: Role of scrap processing mills in collection of e-waste in Russia. September 7, 2016 Staff conference of the NP NSRO "RUSLOM.COM"-representatives, league of wastepaper processors together with the development fund of internet-initiatives regarding internet-platform design for the Recycling Industry and assistance in waste collection. 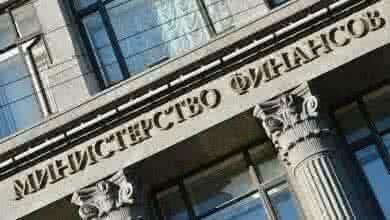 September 2, 2016 Reply to the Ministry for Industry and Trade directed towards NP NSRO "RUSLOM.COM" regarding the legislative optimization in the sphere of illegal scrap turnover in Russia. The question came forward of 9 September 2016. During the Dmitry Medvedev business trtip to the Zabaikalye Territory. August 19, 2016 Staff conference of NP NSRO "RUSLOM.COM"-representatives with Alfa-Bank employees on the matter of cooperation the bank sector and scrap processing mills. July 7, 2016 Incorporation of “MosVtorMet” LLC and “TatMetKom”LLC to NP NSRO "RUSLOM.COM”. August 7, 2016 Vladivostok : Kovshevnyi, Aryamov, Nakamura, Lalayan, Arahama. Meeting regarding the cooperation between Russia and Japan. July 15, 2016 The negotiations between the director of NP NSRO "RUSLOM.COM” – Victor Kovshevnyi, and chairman of the board of directors of International Joint-Stock Bank “TempBank” - Mikhail Gagloev, were conducted on the matter of cooperation the bank sector and scrap processing companies, as well as starting a co-projects. July 6, 2016 Visiting the “OMZ-Specstal” in St Petersburg by the NP NSRO "RUSLOM.COM"-representatives, with the purpose of assessment of efficiency and proposal development of production modernization and scrap supply optimization. June 28, 2016 Holding the roundtable in The Council of Federation of the Federal Assembly of the Russian Federation together with the representatives of the legislative house, league of wastepaper processors. The meeting was regarding the legislation optimization in the field of secondary resources, TIPI cancellation on paper- and secondary materials delivery by private persons, introduction of new Russian Standard Industrial Classification of Economic Activities and Russian Classification of Products by Economic Activities and obligated self-regulation. June 2, 2016 Victor Kovshevnyi’s lecture “Future Metallurgy” for the NLMK employee pool. Preparation of the course on NUST MISiS support. May 25, 2016 In the Gostiny Dvor of Moscow, an industrial hands-on workshop "E-scrap" was held within the target framework of the NP NSRO "RUSLOM.COM". More than 70 delegates took part. May 19, 2016 Victor Kovshevny held a training workshop "Metallurgy in 100 years’ time" in the Vyksa metallurgical mill of OМК, in Vyksa. The event is one of the projects of the cycle of events held together with NUST MISiS. April 28, 2016 Head of international department of the NP NSRO "RUSLOM.COM"– Polina Chermnykh was giving a speech regarding the development potential of Russia-China cooperation (in recycling, scrap processing, metallurgy and ecology) at the industrial event - The First Anual General Meeting in Wuhan. April 27, 2016 Victor Kovshevnyi comments regarding Russian and World Metallurgy Scrap Market were published in Bloomberg, World Where Steel Is Money Loser, Russian Mills Find a Profit. April 24, 2016 TVC Report about the problems with delivery of scrap and illegal collection stations. Comments on industry situation were given by the director of NP NSRO "RUSLOM.COM” – Victor Kovshevnyi, and by the chief engineer of the Manufacturing company “Vtormet” - Yuri Vorontsov. April 19, 2016 Moscow, Gostiny Dvor. The opening of the target program of the National Business Club RUSLOM.COM, the holding of the ordinary meeting of NP NSRO "RUSLOM.COM" and the round table "Scrap market: banks, law, trade, analytics”. April 10-14, 2016 Press trip to Magnitogorsk by the representative of NP NSRO "RUSLOM.COM", with visiting the “RMK”, manufacture and demonstration of the new technologies of copper mining and production, as well as copper scrap usage. April 11-13, 2016 The participation of the NP NSRO "RUSLOM.COM"-representatives in business trip to Germany on invitation of “Liebherr-Russland” LLC with visiting of the LIEBHERR booth. April 07, 2016 Director of NP NSRO "RUSLOM.COM” meeting with RosEuroBank-representative regarding the interaction optimization between the scrap processors and account banks. April 04, 2016 NP NSRO "RUSLOM.COM"-representatives meeting with BinBank-representatives regarding the interaction optimization between the scrap processors and account banks. March 31, 2016 Going on the air RBK.TV appearance of director of NP NSRO “RUSLOM.COM”- Viktor Kovshevnyi regarding the State support of new and reconstructing metallurgical facilities. March 31, 2016 Director of NP NSRO "RUSLOM.COM” and Japanese delegation meeting in Moscow. Subject: negotiations regarding closer cooperation between Russian and Japan scrap processing mills. Business events management and business-missions. March 23, 2016 Director of NP NSRO "RUSLOM.COM” meeting with Raiffeisen -representatives regarding the interaction optimization between the scrap processors and account banks. March 22, 2016 The participation of the NP NSRO "RUSLOM.COM"-representatives in workshop of the FIFA World Cup organizing committee -“Russia 2018”. Subject: household waste collection organization, scrap and metal waste during the preparation and holding of the 2018 FIFA World Cup. March 17, 2016 Representatives of the NP NSRO "RUSLOM.COM” meeting with representatives of the Sberbank of Russia and Sberbank-AST regarding the interaction optimization between the scrap processors and account banks. March 13-16, 2016 Director of NP NSRO "RUSLOM.COM” and representatives of Japanese companies joint business trip to the Far East with visiting of the scrap processing mills. March 10, 2016 NP “Russkaya Stal” and NP NSRO “RUSLOM.COM” conference regarding TIPI tax remissions from proceeds from scrap of ferrous and non-ferrous metals. March 10, 2016 Representatives of the NP NSRO "RUSLOM.COM” meeting with the Deputy Minister of Industry and Trade of the Russian Federation Sergey Tsyb regulatory framework optimization in the sphere of scrap- and waste processing management. March 10, 2016 Director of NP NSRO "RUSLOM.COM” meeting with AlphaBank -representatives regarding the interaction optimization between the scrap processors and account banks. March 04, 2016 Director of NP NSRO "RUSLOM.COM” meeting with Federal Service for Financial Monitoring-representatives regarding the interaction optimization between the scrap processors and account banks. March 03, 2016 Participation in the situation analysis:”Identification of 5 main (systematic) problems of the management of natural resources and ecology, inclusion it into the document for President of Russian Federation from RF Presidential Commissioner for the Rights of Business People”. The subject initiated by NP NSRO "RUSLOM.COM”: TIPI tax remissions from proceeds from scrap of ferrous and non-ferrous metals. February 29-March 1, 2016 Running the XII international Forum “Ferrous and Non-Ferrous Scrap Metals” in the building of the Government of Moscow. February 11, 2016 Speech by Viktor Kovshevnyi, director of NP NSRO "RUSLOM.COM” on the week of metals and the mining industry in Russia and CIS on invitation of ADAM SMITH Conferences. Subject: Screening the strategic pathway of metallurgy, metallurgy -2115. February 1, 2016 Going on the air RBK.TV appearance of director of NP NSRO “RUSLOM.COM”- Viktor Kovshevnyi regarding the EU imposition of a duties on cold-rolled flat products import. / Rusmet and Ruslom / Currently, the national self-regulating organization of ferrous and non-ferrous scrap and wastes processors and vehicle recyclers implements nine sectoral initiatives. According to the results of the first 9 months of 2015 support was received from more than 1,785 commercial and governmental organizations and citizens. Join! Dear partners! Thank you for your proactive and professional attention to the activities of the professional association of enterprises of the market of ferrous and non-ferrous metals and vehicle recyclers in Russia. Non-commercial partnership"RUSLOM.COM" is the unique Russian official industry association of scrap processors, having the status of a national self-regulatory organization. Participants of the partnership are the steel mills and independent companies - the leaders of the state recycling programs and the renewal of the 2010-2011, 2014: NLMK, Metalloinvest, Severstal, OMC , ChTPZ Group, Russian Railways, AvtoVAZ and independent scrap procurement. Members of Non-commercial partnership "RUSLOM.COM" have 100% shredder’s power of Russia (13 shredders) and 65% of the market in terms of consumption of steel scrap in Russia. This status gives the powers and possibilities of the formation, promotion and implementation of sectoral initiatives of the business community. We offer all market participants to support the initiatives of the professional association of ferrous and non-ferrous scrap. The initiatives aimed at stimulating the growth of the legal market of ferrous and non-ferrous metals, increasing the technological and investment potential of the industry in regions, the development of fair competition and systematization of the information on industrial companies in Russia and the CIS. Current projects and initiatives "RUSLOM.COM"
Cancellation of personal income tax from the income of natural persons (scrap - delivers),derived from the rental of secondary raw materials, and ferrous and non-ferrous metals. This measure will help to remove administrative and tax barriers and encourage citizens to deliver the scrap metal to the legal receiving points, and not interact with the shadow sector of the market. This will be increased scrap collection, to ensure fair competition, the Federal Tax Service will not penalize businesses during inspections of work with natural persons. Also the problem of self-employment will be solved, and improve environmental conditions in all regions of Russia. Petition to Prime Minister DA Medvedev was signed by 632 industry representatives. Cancellation of the licensing for introduction compulsory self-regulation in the sphere of activity for the dealing with scrap ferrous and non-ferrous metals in Russia. The initiative is aimed at forming an effective system of regulation and control of the activities of enterprises in the scrap market. Currently, the issue of licenses into a single illegal business when a license can buy any unscrupulous entrepreneur who does not have production facilities for the processing of scrap. A licensing requirements showing by the public authorities to legitimate companies do not meet the real needs of the market and not objective. Only business can generate standards for the most effective running of the industry, knowing the mechanisms of economic and technological production processes. Formation of investment platforms based on Internet resource "RUSLOM.COM" for companies scrap processing industry, where companies can present their investment projects and to receive information on the measures of state support and improve the investment climate in each of the regions of Russia. Currently, consent to cooperation and the data on state support to metallurgists and scrap-recyclers provided by administrations and ministries of the 20 regions. Creating a comprehensive recycling program in mechanical engineering and military-industrial complex of Russia. As a result of the state program of recycling wheeled vehicles more than 40% of the cars went to the illegal Parsing and secondary black market. Reason is the lack of control and the implementation of clear regulations. The program itself was designed to stimulate the auto industry. Similar measures in the Ministry of Industry plans to introduce a car building, shipbuilding, helicopter, aviation industry and defense industry as well as wear parks up to 70%, while production plants are experiencing a structural crisis. The state program on upgrading and development of transport and agriculture pledged trillions of rubles for the renovation and restoration of funds. However, none of the programs does not take into account that part of the funds should be directed not to purchase cars in other countries, but on the program recovery and recycling of this huge amount withdrawn from the operation of equipment. Nevertheless, an effect without of an integrated approach to recovery will be opposite, the same as in the automobile industry. Now in Russia there is already the necessary base and resources for the efficient processing of recycled metal, batteries, rubber, etc., and accordingly, the potential raw material and technical basis for its own production. The need to build the same capacity at the shredder as a result of increased volume programs, scrap-recyclers are ready to take over and to attract private investment. We need a system of state support and supervision for recycling, which is fixed to the program and long-term strategy to industry utilization of 2020-2030. The monitoring and the creation of "RUSLOM.COM" as a nationwide directory of companies working in the sphere of scrap ferrous and nonferrous metals and recycling of vehicles. The handbook will include companies that have a license to conduct these activities and has a positive business reputation. Monitoring will be conducted jointly with the administrations of the regions of Russia, with the participation of companies - the market players and with the support of public organizations. One of the tools will be the electronic base of recovery vehicles, which is "RUSLOM.COM" with a view to monitor and promote the implementation of the state program of recycling wheeled vehicles, approved by Minprotorgom Russia. The data base used to generate reports in the Russian Ministry of Industry. Also, the development of the directory, we will use the official database and Interfax news agency Tass, registers licensees to carry out surveys and questionnaires of market participants and others reliable sources. Directory scheduled to be released in two versions, paper and electronic. The paper version will be published twice a year, updating the electronic version takes place in real time, every day on the basis of an Internet resource. Creation Russian industry rating of companies scrap processing industry in order to identify leaders and trusted companies among the market players. Also to provide state support among the leaders of the Russian Federation and creation a favorable investment climate for the development of entrepreneurship in the sphere of scrap ferrous and non-ferrous metals. If your company is in the top five leaders of the region in the field of scrap ferrous and nonferrous metals, send us a request and take part in the formation of the rankings. Creating a program for monitoring and calculation of indices for sustainable development of the industry scrap-processing in Russia on the basis of application of a technique created by experts "RUSLOM.COM." The program provides an opportunity to assess the state of the industry during the current economic period, we compare the figures with previous years, and predict the development of the sector in both the short term and the long term, not less than 30 years. Conducting business activities of the reporting on the basis of 12 International Forum and Exhibition "Ferrous and non-ferrous metals in 2016" to take stock of work on the implementation of the initiatives, the official ceremony of awarding the leaders of scrap processing industry, posing further challenges for the promotion of the industry. Forum will be held on 29 February-1 March in the Moscow City Hall (Novy Arbat, d.36) with the participation of 30 countries and more than 600 delegates. It is the largest industry event in Europe and recognized expert platform. Participation already confirmed the United States, Germany, Italy, Spain, France, UK, Netherlands, Denmark, Turkey, Lithuania, China, Kazakhstan, Ukraine, Belarus and others. Creation an industry of electronic trading platform for bidding for the sale and purchase of ferrous and non-ferrous metals. Goal is to stimulate the development of the legal market of scrap, ensuring the transparency of operations, reducing the risk of transactions with unscrupulous suppliers and customers, to create a single online resource ordering by state and commercial enterprises (facility owner metals) for obtaining orders from the reliable legal enterprises (scrap-recyclers). Activities of professional non-governmental organizations is of great importance worldwide. On the scrap market in the larger half of the countries there are associations and unions enterprises that form the sectoral policies and standards. This is especially actual for the secondary metals industry. For example, in Europe, a recognized organization is considered to BIR, "RUSLOM.COM" is also a member of it. Scrap metal - a strategic raw material for the steel industry and the most important product of the domestic market of the country. Returning scrap to the secondary economic recycling means a great importance in the industry, saving natural, industrial, labor, energy and economic resources of Russia, supports the implementation of state programs for the development of the competitiveness of domestic production and import substitution. We are open to your suggestions and initiatives! 3. control over the compliance to the industrial standards and technical regulations.